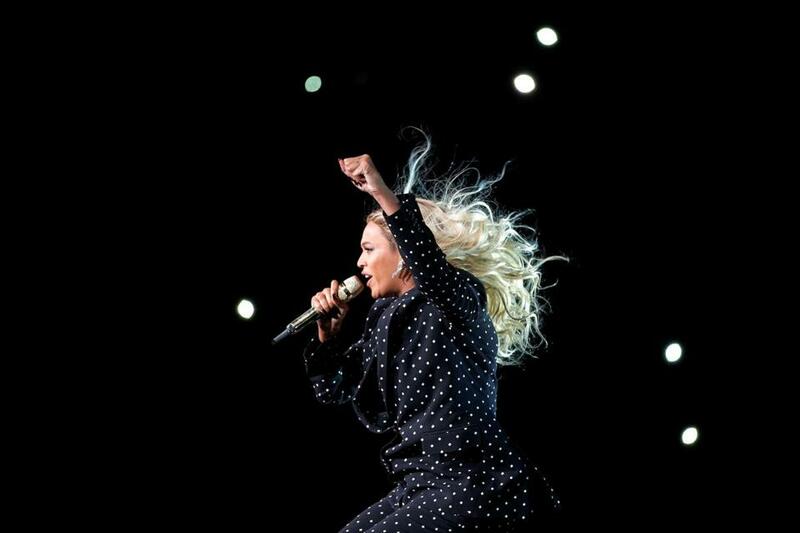 Beyoncé pictured performing in November. NEW YORK — The Grammy Awards are sipping all of Beyoncé’s lemonade. The pop star is the leader of the 2017 Grammys with nine nominations, including bids for album of the year with ‘‘Lemonade,’’ and song and record of the year with ‘‘Formation.’’ The singer, who already has 20 Grammys, is also the first artist to earn nominations in the pop, rock, R&B, and rap categories in the same year. Behind Beyoncé are Drake, Rihanna, and Kanye West, who scored eight nominations each. Like Beyoncé, Adele is also nominated for album, record, and song of the year. For album of the year, ‘‘Lemonade’’ and ‘‘25’’ — which has sold 10 million copies in a year — will compete against Drake’s multi-hit ‘‘Views,’’ Justin Bieber’s redemption album ‘‘Purpose,’’ and surprise nominee ‘‘A Sailor’s Guide to Earth,’’ the third album from respected and rebellious country singer Sturgill Simpson. Beyoncé’s ‘‘Formation’’ and Adele’s ‘‘Hello’’ are up against Rihanna and Drake’s ‘‘Work,’’ twenty one pilots’ ‘‘Stressed Out,’’ and Lukas Graham’s ‘‘7 Years’’ for record of the year. ‘‘7 Years’’ is also up for song of the year — a songwriter’s award — battling Bieber’s ‘‘Love Yourself,’’ co-written with Ed Sheeran, Mike Posner’s ‘‘I Took a Pill in Ibiza,’’ as well as Beyoncé and Adele’s songs. The mother of five has somehow put together a music career that revolves around her family. Beyoncé’s nine nominations include best rock performance (“Don’t Hurt Yourself’’ with Jack White), pop solo performance (“Hold Up“), rap/sung performance (“Freedom’’ with Kendrick Lamar), and urban contemporary album (“Lemonade“). With 62 nominations over the years, Beyoncé is the most-nominated women in Grammy history. ‘‘Artists are feeling emboldened and courageous and just wanting to step out of the predictable boundaries of what they have done. Of course, (Beyoncé) is the poster child for that,’’ Recording Academy CEO and President Neil Portnow said in an interview with The Associated Press. Adele, who has five nominations, is up for best pop vocal album (“25“) and pop solo performance (“Hello.”) The Grammys will be presented in Los Angeles on Feb. 12, 2017. David Bowie, who died from cancer in January, earned four nominations for his final album ‘‘Blackstar,’’ including best rock performance, rock song, alternative music album, and engineered album, non-classical. ‘‘I think this is beyond sort of the sympathy vote, because sometimes you’ll see those kinds of things happen just ’cause people feel sorry about it. But listen to [his] album — it’s quite extraordinary,’’ Portnow said of Bowie. Chance the Rapper earned three nominations for best rap song: His hit, ‘‘No Problem,’’ is nominated, and he has writing credit on the Kanye West songs ‘‘Famous’’ and ‘‘Ultralight Beam.’’ West will compete with himself in three categories: best rap song, rap performance and rap/sung performance. 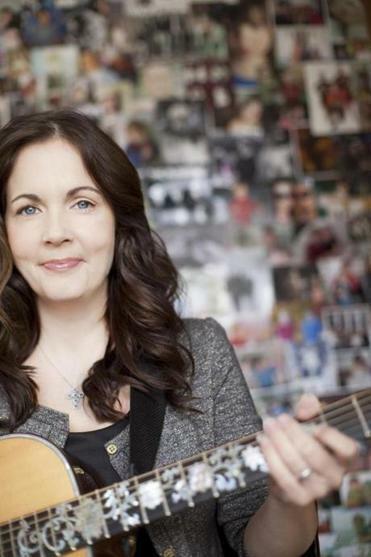 Stoughton’s Lori McKenna, who won a Grammy this year for co-writing Little Big Town’s ‘‘Girl Crush,’’ is nominated for best country song for penning Tim McGraw’s ‘‘Humble and Kind.’’ She also scored nominations for best Americana album, American Roots performance and American Roots song for her own work. Acts tying McKenna and Bowie for four nominations include Bieber, Morris, Kirk Franklin, engineer Tom Coyne, and producer-songwriters Max Martin, Greg Kurstin, Benny Blanco and Mike Dean. Tyler Joseph, the lead vocalist of twenty one pilots and the duo’s main songwriter, scored five nominations for ‘‘Stressed Out’’ (record of the year, pop duo/group performance) and ‘‘Heathens’’ (best rock song, rock performance and song written for visual media); twenty one pilots, which includes drummer Josh Dun, earned three nods. Some well-known acts scored their first Grammy nominations Tuesday, including Solange, Blink-182 and Demi Lovato, who will compete against Adele, Bieber, Sia, and Ariana Grande for best pop vocal album. Amy Schumer earned two nominations, including best spoken word album and comedy album. Deceased nominees include Joey Feek of the duo Joey + Rory (best gospel roots album for ‘‘Hymns“).